I don’t know about you, but if someone came up to me and told me to leave town because someone is trying to kill me, that would get my attention. I think getting away from there would be a given. At least. Can you imagine being that focused, that clear about God’s call that even a death threat doesn’t dissuade you? Yet here Jesus is, deliberately going into Jerusalem in order to face down the mightiest powers on earth. Jerusalem is hardly safe, and yet he goes anyway. He’s that sure of his role, that sure of his mission, that sure of his purpose. So what’s a little death threat from Herod? It doesn’t seem to bother him at all. He’ll just continue his work: healing, teaching, casting out demons. I wish I was that clear about my call in God’s work. I wish I was so sure and confident that nothing could detour me. But that’s not always the case. I know God’s mission is peace and reconciliation and compassion throughout the world. I know God’s vision is that the playing field be level for everyone so that everyone experiences complete love and grace as much as everyone else. And I know that I need to pay attention to that and work for those things as much as I can. But I’m not always clear about HOW to do that. In a way that is mine to do. We are spending Wednesdays in Lent considering the Rocky Mountain Synod’s theme in 2016 of “Many Voices, One Song.” Last Wednesday we laid some of the groundwork and lifted up the metaphor of God’s mission being God’s song of love for the world. We talked about each of us having a voice to sing God’s song in the world. Each one of our voices in unique, and yet created to sing together with all the other voices too. It’s a great metaphor, and we’ll have some fun with it in coming Wednesdays, but I have to confess I’m not always clear about my own voice in God’s song. Certainly not like Jesus is clear. It takes a lot less than a death threat to get me off track. The offerings drop or worship attendance declines and God’s mission of compassion gets tossed. One church program fails, whether it’s one I have anything to do with or not, and justice for the homeless just took a backseat. I think the reason is that I’m not clear about my own role like Jesus is. He knows what he’s about, therefore he can move toward God’s vision through all the distractions instead of getting derailed by the distractions. It’s easy to be distracted, forgetting what the focus actually is. I went online to search for some help with today’s gospel text, got distracted and followed a link to another site, then to another, and another. Before long I had purchased a replacement side mirror for my car. It’s arriving Tuesday. Distractions from our clarity happen. And it’s frustrating that we’re not always so clear. Then it occurs to me that my search for clarity, my frustration is not having certainty about my own voice and purpose is itself a distraction. I’ll never be completely certain. I’ll always be discovering more. My understanding of God’s vision for creation will continue to evolve. Therefore, so will my understanding of my purpose in it. Continuously evolving, ever changing, constantly growing. And it should, right? So maybe I should quit worrying about it. Maybe, instead of seeking my own certainty, I should just follow Jesus. Maybe his certainty is enough. Maybe trusting him would be enough. Jesus’ clarity was his journey to the cross in Jerusalem. He was not to be detoured or distracted from that. Not even Herod’s death threats could sway him. I’m thinking if that’s good enough to keep Jesus on track, it’s probably good enough for me too. My clarity of my purpose, my certainty of my voice, isn’t to be found on its own. It is found with Jesus, actually. Since he reveals God’s vision and direction,I can’t go too far wrong it I follow him. That will involve distractions, to be sure. It could involve death threats, possibly. It may just lead to a cross of sorts. I will have to die to lots of things—lots of distractions, detours, derailings—but that should be OK. Jesus can be my focus. Following him can be my purpose. The rest doesn’t have to bother me at all. I can continue my work: following, proclaiming, living. As long as I’m doing that, I can be quite confident I’m fulfilling my purpose. As long as I’ve got Jesus in my line of sight, I can be confident I’m contributing to God’s vision in the world. As long as Jesus is my melody, I can be confident I’m singing God’s song with my own voice. “Beware of practicing your piety before others in order to be seen by them; for then you have no reward from your Father in heaven. 2 “So whenever you give alms, do not sound a trumpet before you, as the hypocrites do in the synagogues and in the streets, so that they may be praised by others. Truly I tell you, they have received their reward. 3 But when you give alms, do not let your left hand know what your right hand is doing, 4 so that your alms may be done in secret; and your Father who sees in secret will reward you. 5 “And whenever you pray, do not be like the hypocrites; for they love to stand and pray in the synagogues and at the street corners, so that they may be seen by others. Truly I tell you, they have received their reward. 6 But whenever you pray, go into your room and shut the door and pray to your Father who is in secret; and your Father who sees in secret will reward you. . . . 16 “And whenever you fast, do not look dismal, like the hypocrites, for they disfigure their faces so as to show others that they are fasting. Truly I tell you, they have received their reward. 17 But when you fast, put oil on your head and wash your face, 18 so that your fasting may be seen not by others but by your Father who is in secret; and your Father who sees in secret will reward you. 19 “Do not store up for yourselves treasures on earth, where moth and rust consume and where thieves break in and steal; 20 but store up for yourselves treasures in heaven, where neither moth nor rust consumes and where thieves do not break in and steal. 21 For where your treasure is, there your heart will be also. We talk a good talk as Christians. We confess our faith, we believe in God, we come to church, we pray for things. Does our belief in Jesus actually reveal itself in ways that look compassionate and merciful? Are our lives different as our relationship with God grows? Is God’s vision of compassion and love in the world more realized by us than it was a year ago? In other words, are we actually growing in our discipleship? Are we discovering more about Jesus and God’s vision for the world? Have there been any changes in our lives, our attitudes, our activities to reflect that growth? Today, Ash Wednesday, we have the opportunity to begin a deliberate journey of growth in our faith and our discipleship. 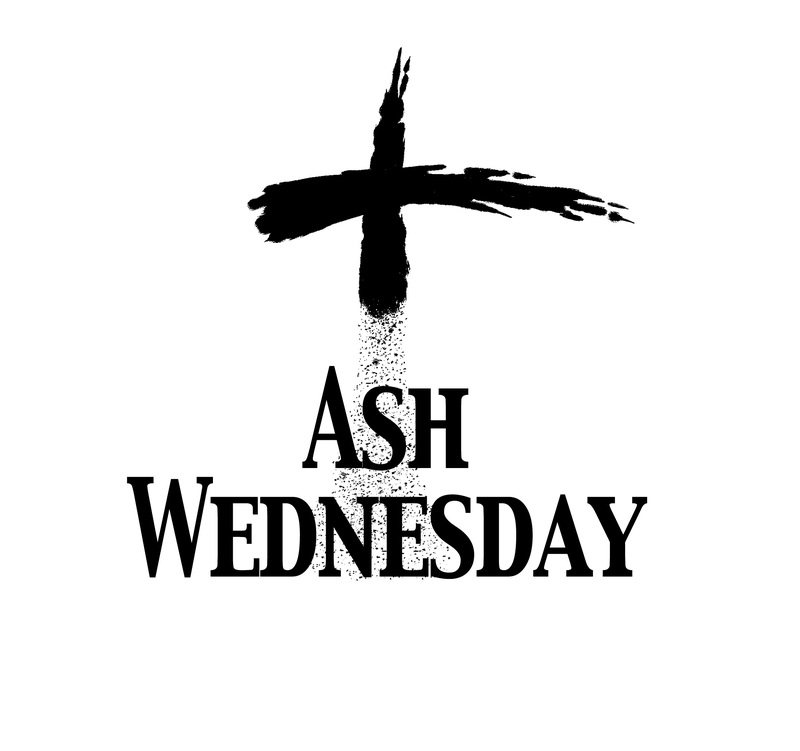 Today, Ash Wednesday, we will be marked with the sign of the cross in ashes on our foreheads. A sign of our commitment to change, to grow, to more fully join the journey. In other words, a sign of repentance. This is more than just being sorry for our sins so God will love us and we can go to heaven when we die. No, repentance literally means “to change direction.” Repentance is actually more about changing our minds, changing our lives, changing our direction as people committed to God’s ways revealed in Christ. The gospel text makes clear to us that we don’t show this sign of repentance—of change—to impress anyone. We don’t wear this ashen cross proudly, but in honest humility. This is a sign to ourselves, to one another, and to the world that LCM is committing ourselves to God’s compassion and justice in the world. So much so that we are willing to begin a journey of change in our our lives in order to follow Jesus more closely. Jesus was so committed to God’s vision of life and peace that he was willing to be killed for it. Just as the cross is a symbol of that commitment by Jesus to love and mercy and grace, the crosses on our foreheads are a symbol of our commitment to that same vision for the world. So our first step in this Lenten journey tonight centers on the real, biblical meaning of repentance. That first step is committing to a change in our lives. This is repentance, a willingness to change and to grow. We enter into Lent tonight. A journey of the cross. A time to deliberately grow in our discipleship. And we begin by using language and symbols of repentance. We begin with a commitment to change. 21 Then [Jesus] began to say to them, “Today this scripture has been fulfilled in your hearing.” 22 All spoke well of him and were amazed at the gracious words that came from his mouth. They said, “Is not this Joseph’s son?” 23 He said to them, “Doubtless you will quote to me this proverb, “Doctor, cure yourself!’ And you will say, “Do here also in your hometown the things that we have heard you did at Capernaum.’ ” 24 And he said, “Truly I tell you, no prophet is accepted in the prophet’s hometown. 25 But the truth is, there were many widows in Israel in the time of Elijah, when the heaven was shut up three years and six months, and there was a severe famine over all the land; 26 yet Elijah was sent to none of them except to a widow at Zarephath in Sidon. 27 There were also many lepers in Israel in the time of the prophet Elisha, and none of them was cleansed except Naaman the Syrian.” 28 When they heard this, all in the synagogue were filled with rage. 29 They got up, drove him out of the town, and led him to the brow of the hill on which their town was built, so that they might hurl him off the cliff. 30 But he passed through the midst of them and went on his way. For the country folk to be up and to arm.” . . .
My uncle invited me to join his class and tour the Old North Church. I readily agreed and met him there the next day. Even though the poem is historically inaccurate, the signal from the bell tower of the British march is true. We all followed my uncle on the tour, heard him describe the history of the church building including the famous bell tower. The church is very old and preserved, so on these tours you really can’t go running around the building. You can look, but you can’t go past the velvet ropes that separate the public from the private areas. But it was quite interesting. So up I go. With special permission because my uncle taught this class at B.C., I had the exclusive privilege of climbing up the bell tower of the Old North Church. I got to see the place where those two lanterns were hung. Plus I got to climb up into the pulpit and go down into the vaults underneath the church. Special privilege! It’s all about who you know! That’s how you get the special stuff, by knowing people with clout and influence. And so here are the people back in Jesus’ home church who really know him. He’s working miracles all over Galilee and now he’s come back to where he grew up. We’re the people that baby sat him. We’re the people that coached his little league team. We’re the people that gave him piano lessons. We’re the people that taught him in Sunday School. If he’s dazzling people in other towns with miracles and cures and powerful teaching where people don’t even know him, what’s he gonna do here for us? With high expectations, they come to see what their hometown boy can do. They’ve got an inside track to some exclusive miracles that not everyone gets to see. Some kind of demons are going to get cast out today! There are going to be some special cures for diseases that he doesn’t cure in other towns! So imagine their disappointment when they received nothing more than all the other people in Galilee. In fact, they got less—Jesus did no miracles at all in Nazareth. When they start to express their disappointment—after all, there has to be some advantage to having a personal relationship with Jesus—he starts to tell them that God sometimes actually shows favor toward those who don’t know him, toward the unrighteous and the undeserving. They became angry. They were so upset about his claim that they were no more deserving of God’s privilege than Gentiles and unbelievers and wicked people that they tried to throw him off a cliff. They felt they deserved more. They deserved better. Because they knew Jesus. How does that sit with us? Most of us are here because we know Jesus. We confess our faith in him. We trust him for forgiveness. We give up a Sunday morning to come to him. We know him. And if what he says here is true, then all our faithfulness and belief don’t gain us anything. We, his devout followers, get no special privilege at all. How does that sit with you? And yet this, apparently, is God’s word being fulfilled. This is what the prophets of old were trying to make clear. This is what Jesus came to fulfill, his purpose, his mission. That no one gets special privileges. No, that’s not exactly true. The nature of God means that everyone gets special privileges. Everyone will be filled with love. God’s dream is that everyone will be fed, cared for, accepted, valued. Everyone. We all get the special tour of forgiveness and wholeness. This is God’s good news for the world. We’re all privileged, we’re all included, we’re all insiders. And we, Christ’s church, we get to share that with the rest of the world. Everyone you meet this week gets God’s special privilege of love, grace, and mercy! We get to share that good news with them!